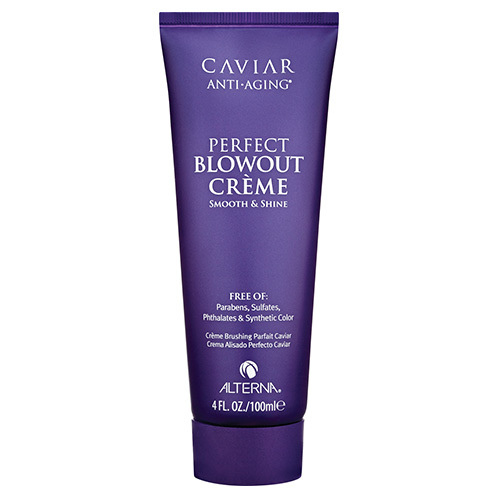 Alterna Caviar Perfect Blowout CrŠme is a high performance styling cream which provides heat protection and cuts down drying time. The ideal styling companion for the perfect blow dry, Caviar Perfect Blowout CrŠme creates smooth, shiny and voluptuous styles every time. Caviar Perfect Blowout CrŠme is enriched with Rhodiola Extract© which provides thermal and Antioxidant protection for the hair and scalp whilst AlternaÉs Age Control Complex combats chronological, chemical and environmental signs of ageing. Colour Hold© Technology prevents colour fading and shields the hair from UV damage and Enzymetherapy© enables the absorption of essential ingredients for superior keratin formation with a proprietary enzyme delivery system. 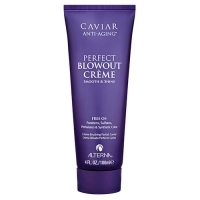 Caviar Perfect Blowout CrŠme leaves blow dried hair looking smooth, glossy and voluminous and dramatically reduces styling time.